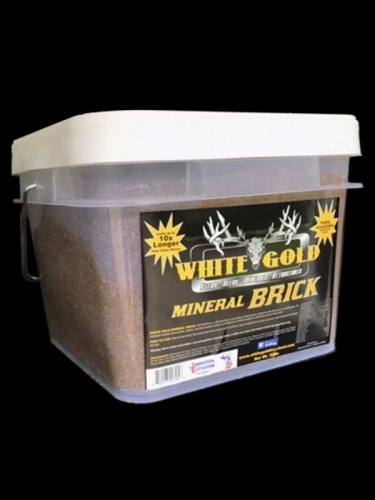 The White Gold Mineral Brick is a 25lb Brick that is a long lasting, cooked attractant, designed to draw deer back to your hunting area. The Mineral Brick includes trace minerals, vitamins, and other essential nutralyes to complete your nutritional program for well-fed deer growing trophy antlers. The Mineral Brick is proven to last up to 10x longer than other blocks on the market.